The Hadya community theatre project operates in Somaliland during 2012 – 2013. The aim of the project is to empower women by giving training in community theatre techniques. This enables women to work as community theatre teachers. 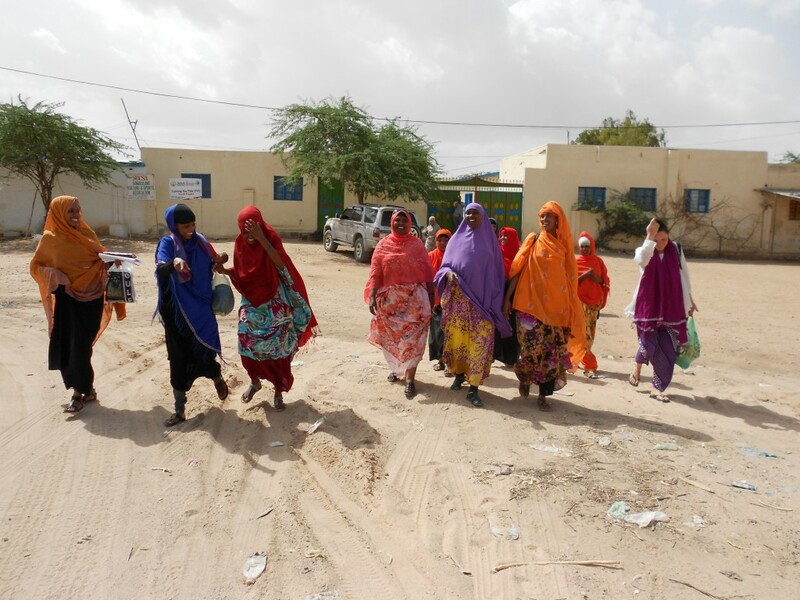 Women still face discrimination throughout Somaliland. Even though the area has remained stable during the civil war, women are marginalized and have limited opportunities of employment. The project’s training aims at offering women skills to direct various community theatre projects, lead group discussions, examine reality through drama, produce their own theatre and share their knowledge by further training others. The trainees come from the area of Hargeisa. So far, 16 women between the ages of 16 and 25 have received training in the project. The presentations of the training sessions have attracted an audience of over 200 people in total. Audiences and local communities are important, because they are indirect beneficiaries of the community theatre project. Trained women also complete a work practice period in local communities. Community theatre acts as a tool to process and discuss difficult societal issues such as teenage pregnancies, domestic violence and illegal migration to Europe. The women who have received community theatre training in the project have participated in theatre presentation through other non-governmental organizations in Somaliland. One of these was a water and sanitation production. In the future we aim to strengthen contacts with the employment market in order to guarantee the employment of trained women. Our main partner in Somaliland is Somaliland Culture and Sport Association SOCSA.